Category Archives for "tennis elbow"
1) Hold a tennis ball (rolled up sock or towel can also be used) in your hand. 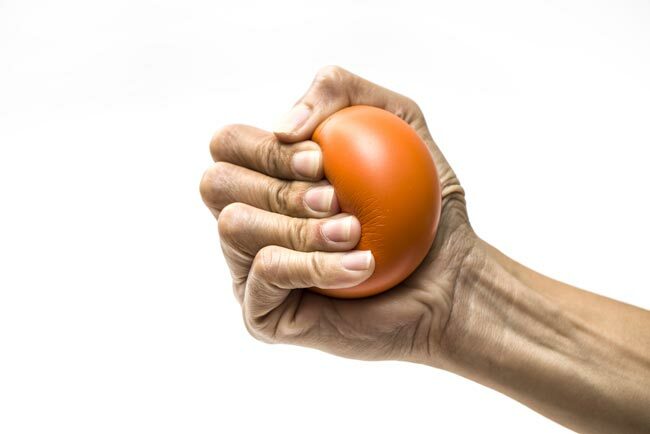 2) Squeeze the ball for 5 seconds and then relax the hand for 10 seconds. 3) Repeat 8 – 12 times for 3 sets, then alternate to the other hand and repeat exercise. 1) Place your elbow on a table so that your hand and wrist are just off the edge. 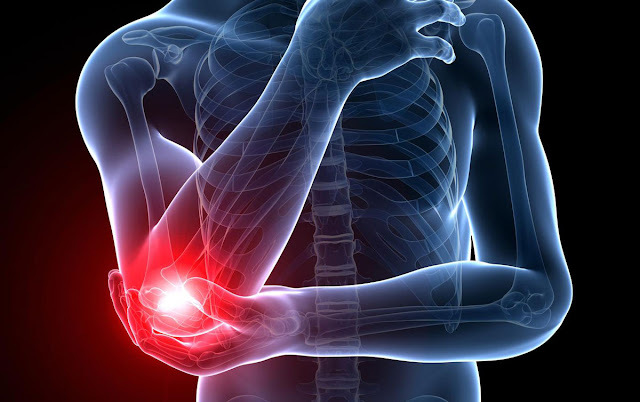 2) Hold a very light dumbbell (around 2 lbs) in your hand. 3) Rotate the arm outward and turn the dumbbell up. Then rotate the arm inward so that the dumbbell will point back down. 4) Repeat 15-20 times for 3 sets on each arm. 2) Hold a very light dumbbell (around 2 lbs) in your hand so that the palm is facing up. 3) Flex your wrist by curling the dumbbell towards the body and then back down to starting position. 4) Repeat 8 – 12 times for 3 sets. Alternate to other hand and repeat exercise. 2) Hold a very light dumbbell (around 2 lbs) in your hand so that the palm is facing down. 3) Let your wrist slowly drop down and then lift your wrist back up to starting position. 1) Stand with your feet shoulder width apart. 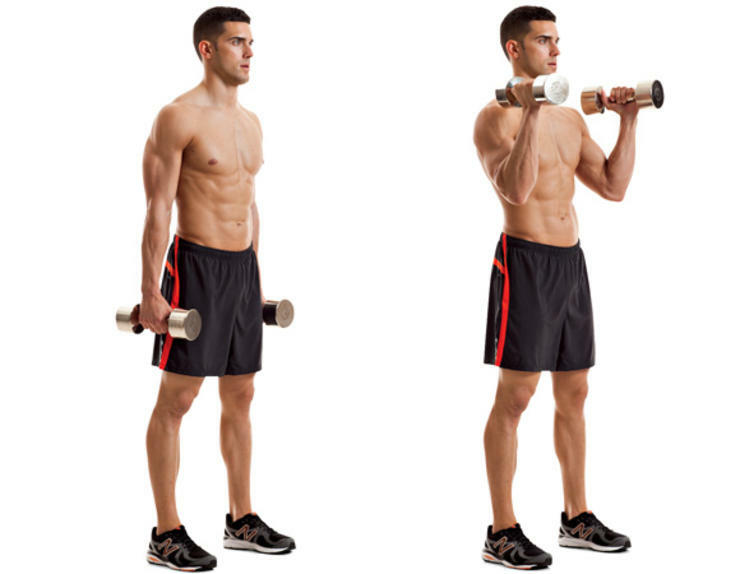 2) Hold a light dumbbell (5 to 10 lbs) in a hammer grip position (dumbbell is vertical) in both hands. 3) Keeping the elbows close to the body, flex your forearm upward to 90 degrees, then back down to starting position. 4) Repeat 8 – 12 times for 3 sets. Alternate to other arm and repeat exercise.